Last blog we talked about ways to measure the size of your yarn, but how about measuring the length? One easy way is to use a niddy noddy. Most niddy noddies wind in either 2 or 1 1/2 yard increments. If you count while you are winding it is easy to calculate your yardage. However, if you are like me I get distracted easily and lose count. That's where a yardage counter comes in handy. It does the counting for you! Wrap your yarn around the little wheel and it tracks the rotations and calculates yardage. These come in very handy when using a swift or winding weaving bobbins. Recently we received a wonderful handwritten note from a customer. She writes, "Thank you so much for your wonderful catalog so full of amazing products. Since I love words, your publication has exposed me to a whole new world of concepts. Congratulations on preserving history, as well as offering an impressive number of 'droolable' items. I'm sure that I will be placing other orders soon." 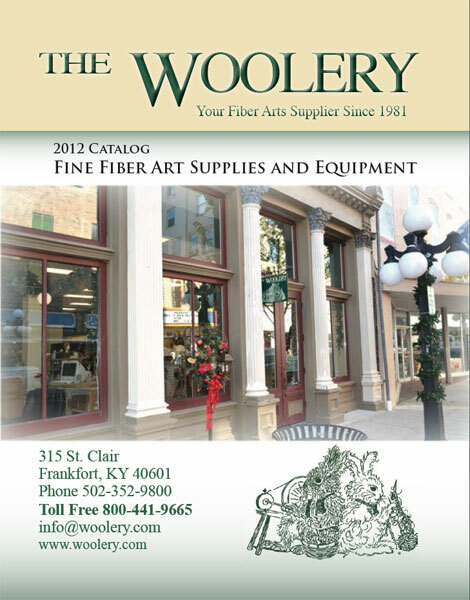 Note: This catalog is not a complete listing of our products, yarn, books and videos, there is plenty here to whet your crafting appetite. We've picked the best of the best to feature: our most popular items from spinning wheels, weaving looms, fleece, fiber, yarn, and everything in-between! Catalogs are $3 to purchase here, or free with any online order.